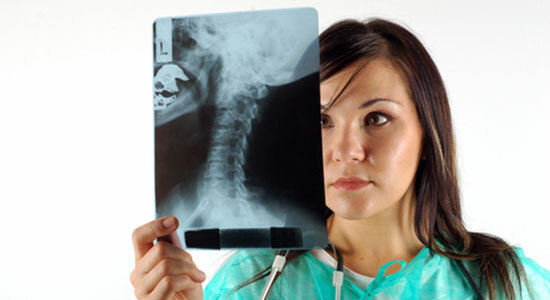 Did You Suffer a Neck Injury After Your Car Accident? If you've ever seen a crash test dummy in slow motion, you know how scary it looks for a human body to be thrown around during a car accident. One of the most unsettling things is how easily the neck gets whipped around. Whiplash in car accidents is almost a guarantee. Whiplash, however, is what you get if you're lucky. A car accident neck injury can be much more serious and result in other injuries to the brain, head, face, and spinal cord. While seatbelts restrain the waist and airbags cushion the chest, the neck lacks support in a crash, making a serious injury more likely. A severe enough neck injury might be keeping you out of work, or even just keeping you from enjoying your day. The medical bills and insurance claims probably don't make it any easier. If you've suffered a neck injury in an accident, you don't have to grin and bear it. You may have a case. Our experienced attorneys are here to help. Trust Edgar Snyder & Associates to get you the money you deserve. For nearly three decades, our law firm has helped thousands of car accident victims with serious neck injuries. We can't turn back the clock, but we do the next best thing – we get you the money you need to move on with your life. If we don’t win your case, you won’t owe us a penny, so you have nothing to lose. Call us at 1-866-943-3427, or use the simple form at the top right corner of this page for a free consultation of your claim. We'll tell you if we think you have a case, no strings attached. Evidence disappears quickly, and time limits apply to file a claim. Contact us today, and we'll help you feel better by tomorrow.